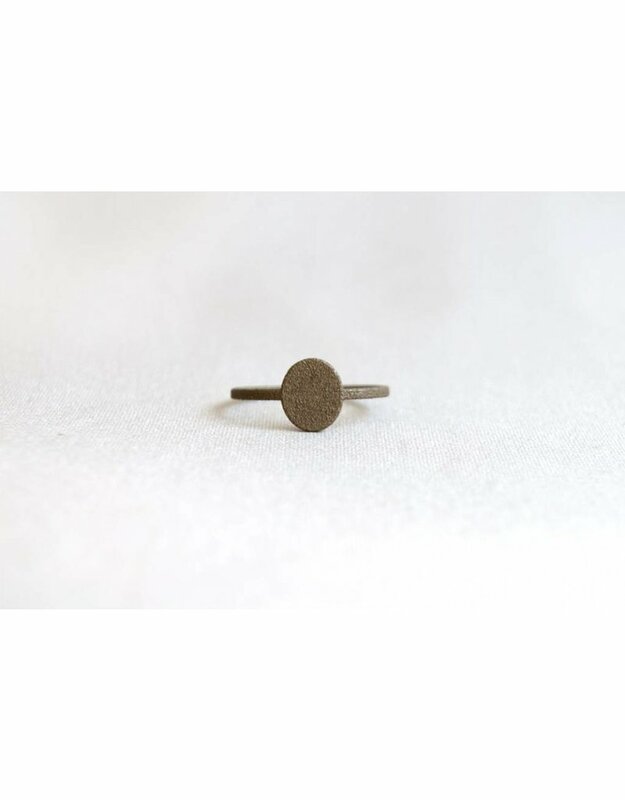 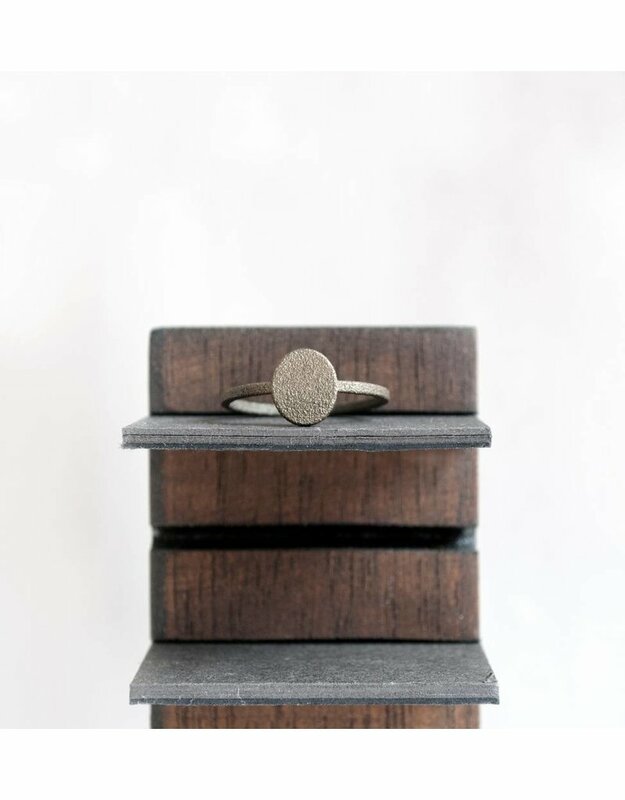 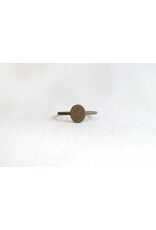 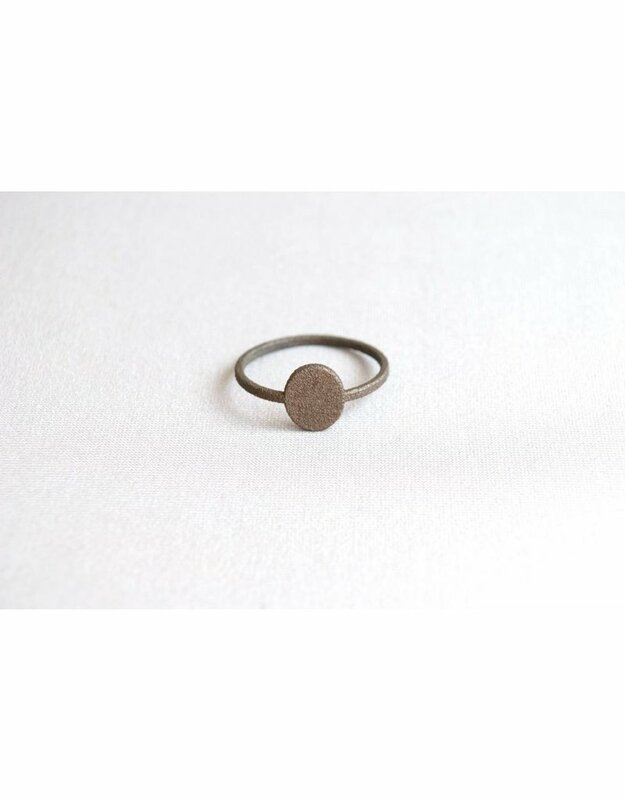 The Oval Steel Ring is available in bronze, brass, silver, 18k gold plated or rose gold plated. 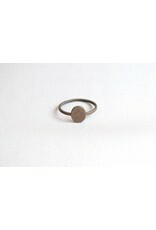 The band is 1,5 mm wide and the oval measures 10mm high and 8mm wide. 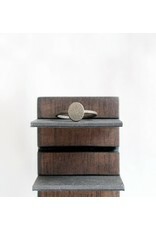 Shown on the pictures: Steel with a bronze finish.